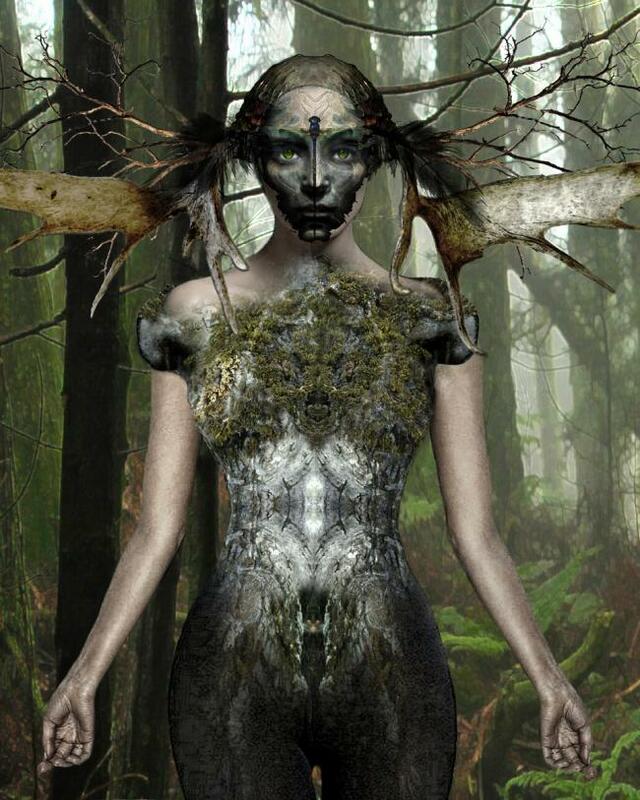 Dryads are female creatures of the forest. 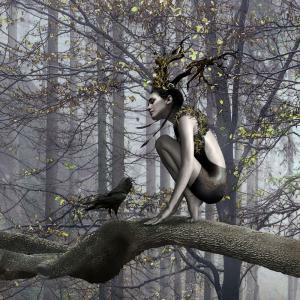 They have exceptionally long life spans and are deeply connected to trees and the creatures of the forest. They have stricking eyes. Their skins are various shades of green with light touches of brown, ochre or black. 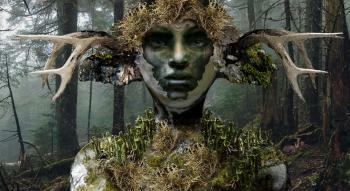 They wear twigs, moss, bark or other things found in the forest, as adornments, and to better hide in the environment. 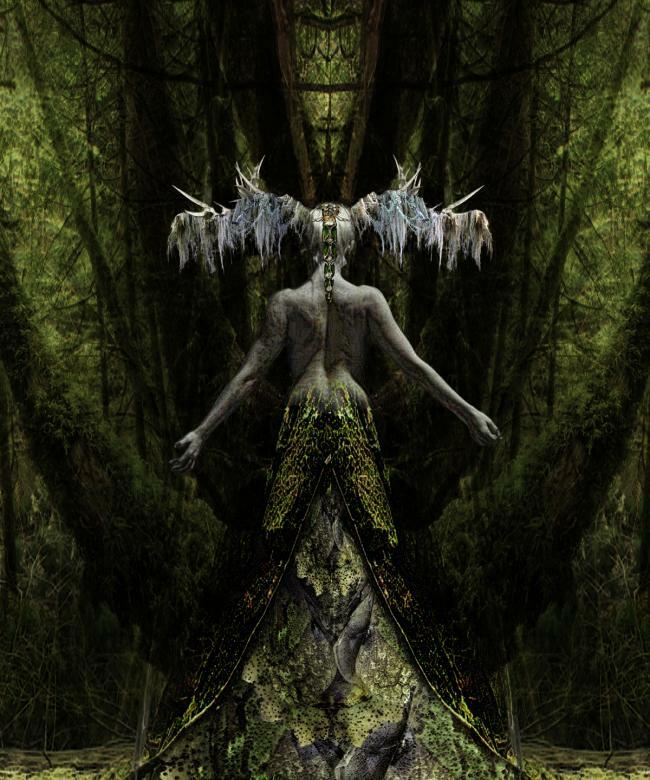 Dryads are powerfull spell casters. Beware of who plays with their temperaments. 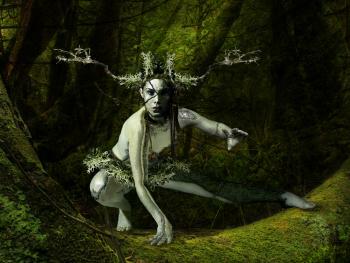 They can make the forest bloom and can make trees walk by playing magical instruments. 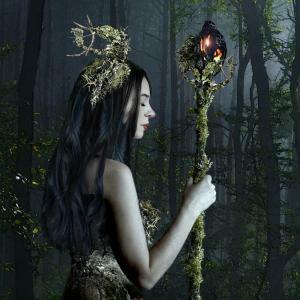 They also collect all kinds of vegetation and rain dripping from ancient oak trees to make special potions. Fire is forbidden in the forest. 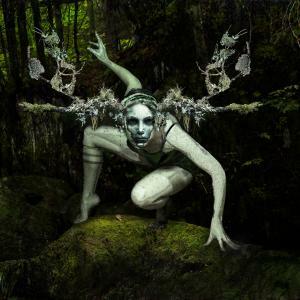 At night, they light their way with makeshift glow sticks created with fungi, lichens and other strange ingredients.